A fascinating and heart-warming tale that is personal, historical and humorous with moments of passion and fear. 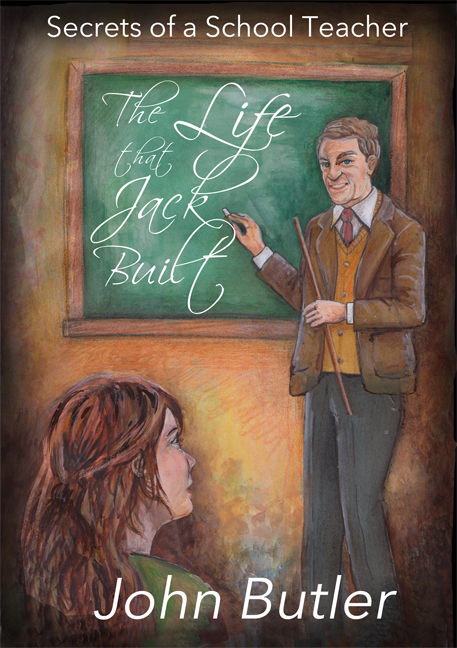 It is the early 1940s; Jack is a young man leaving university at odds with himself. He tries to make a career in banking but finding himself a square peg in a round hole, so he decides to enter the teaching profession which takes him to urban and rural schools in post war Britain. This is the story of his many escapades. It is the tale of how he handles work, romantic attachments and manages to wriggle out of the tightest of situations. After leaving university John tried to make a career in banking but finding himself a square peg in a round hole, decided to enter the teaching profession. In his forty years of teaching, he has taught all ages from infants to 6th form, eventually becoming a headmaster. As secretary of his local teachers’ union he was involved with reports and political matters in education. On retirement he started a course of lectures for the W.E.A and Sheffield University, teaching creative writing to adults. He had a short story accepted by a Chicago magazine and the Daily Mail published his account of the death and resurrection of Oscar, his children’s goldfish. He has travelled to many places in the world. On its sesquicentennial anniversary he followed the route of the Oregan Trail. He has also travelled extensively through the USSR, in Europe and the Road to Samarkand. And of course Ireland!